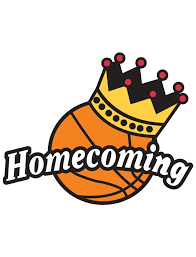 Homecoming is Tuesday, Jan. 22 vs. Walnut Ridge. Assembly will be at 1:45 followed by the Homecoming Pep Rally. We will retake the school picture today during this time. The Royalty will be presented tonight between the Junior High and Senior High games at approx. 6:45-7:00. All Juniors meet in the library during activity period today to discuss after prom. Congratulations to Gunner Shaw for being named to the "Best Under the Sun" Football team. Congratulations to the Girls' 7th Basketball team for defeating Walnut Ridge last night. Wednesday, Jan. 23, there will be a meeting in the old gym for all boys and girls grades 7-12 who would like to participate in track this year. Art Club members will meet at 9:15 on Wednesday for pictures in the new gym. The following students will be attending the FBLA District Competition Thursday, January 24. They will be gone all day. The Beta Club will be attending convention this week on Friday. A list of members attending will be sent later this week.